elliven studio: Homesense Finds and Drop Pulls. Homesense Finds and Drop Pulls. So last weekend, I ventured off to Homesense with the kids for the Homesense Loyalty Member Event. It allows those who frequently shop at Homesense (like moi) and who scan their TJX card with each purchase, early access to the store before opening hours. I had seen a paticular bench (more on that to come later) a few days before and had to have it, so off we went. It was really fun! Free coffee and treats and a $10 gift card if you spent $100 or more! 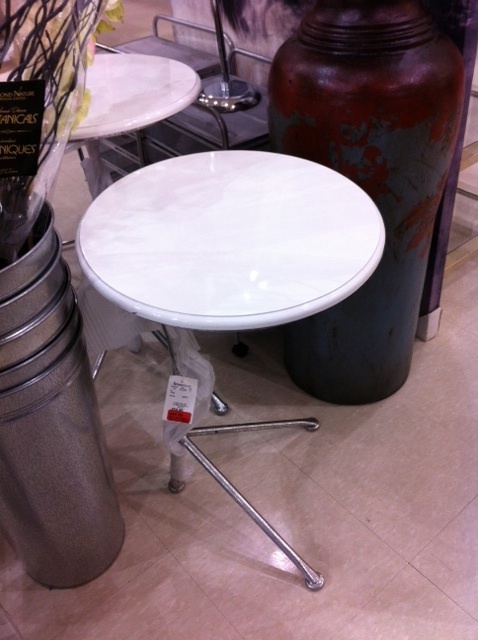 Perks are always nice, so it was great to see that Homesense was showing their love to their clients! this little number was in the clearance section. I see it with the legs spray painted gold and looking mighty fine! I think this would look perfect in our laundry room. 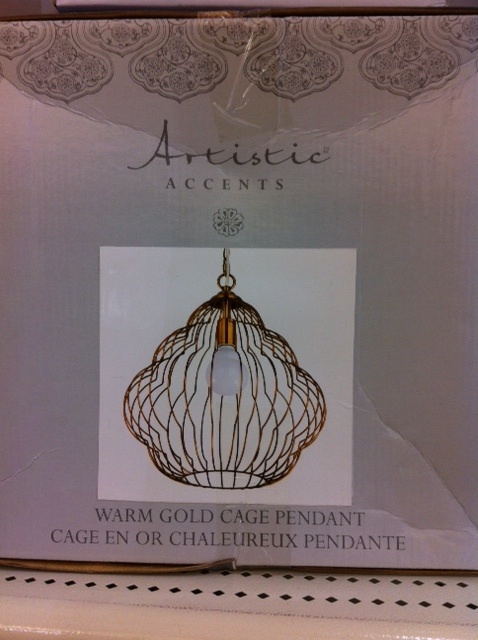 Homesense has a great selection of light fixtures, be sure to check them out! 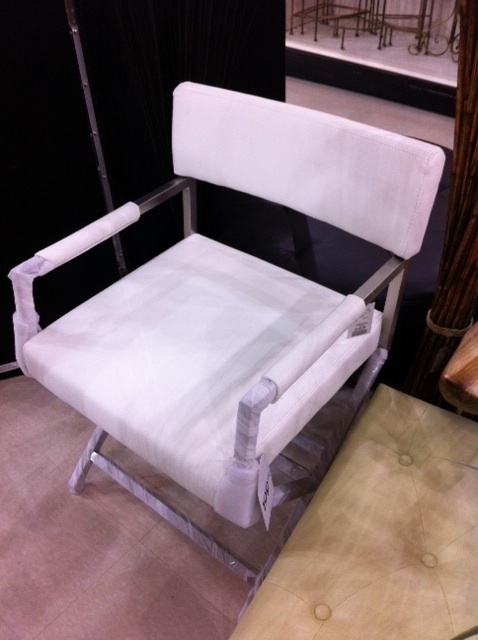 a modern take on directors chair. yes! 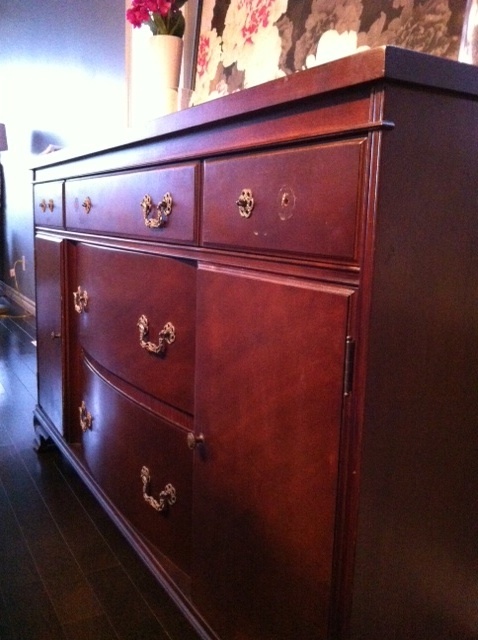 In other news, yesterday, I broke yet another handle off of our vintage buffet, leaving only one handle on the top drawer (which spans the entire width of the piece). So now I really want to get the new hardware. I decided to keep it classic by going with an oval drop pull. I've narrowed it down to two, but am having such a tough time deciding. I asked for help on instagram and it's currently a tie! I really just need to decide what type of look I'm going for really. Do I want a simple pull or something with a little more detail. Who Knew A Backsplash Could Do This To Someone!